The first S.T.E.M. Workshop through the Rocky Point Community Education Program for JAE students was held on April 25, 2017. From July 10, 2017-July 13, 2017, the first Summer Camp for students entering grades 3-5 took place. 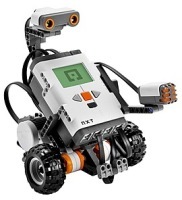 In 2018, an Advanced Robotics Camp was added on as an option for students. The goal of the program is to explore concepts in S.T.E.M. S.T.E.M. stands for Science, Technology, Engineering, and Mathematics. Additionally, the program prepares students at the Joseph A. Edgar Intermediate School to take part in Robotics and Science-Related Competitions at the Rocky Point Middle School and Rocky Point High School.